When you work at Everstream, you join a dynamic team of individuals who believe we are a part of something greater than any one of us. You join a company where collaboration, corporate transparency and a commitment to culture are paramount. You’ll be challenged and supported, while given the opportunity to grow and develop in your career. If you’re looking to take the next step on your path, consider joining ours. 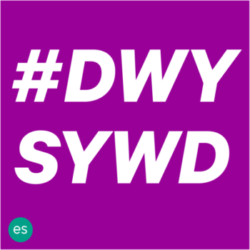 “Do what you say you will do” — also known as #DWYSYWD — is Everstream’s version of the Golden Rule. Show up. Put forth the effort. Honor your commitments. For us, it’s really that simple. We believe in acting with integrity in our interactions with customers, vendors and our fellow team members. We don’t want you to make promises that you can’t keep. Instead, set an expectation and make it happen. 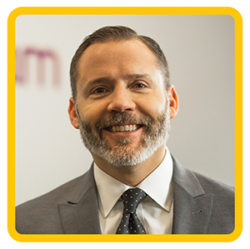 As President and CEO, Brett Lindsey has helped Everstream “do what you say you will do.” Learn more about how Brett’s leadership impacts our company culture. “At Everstream, we have a lot of people who are passionate. Mark pretty much summed it up for us. Want to see for yourself, follow us @everstreamlife on Instagram. Don’t have Instagram? We’ve got you covered. Just click here. Everstream is in a unique position. We deliver the infrastructure needed to make businesses run. While others are consolidating; Everstream is growing. While others fear the unknown; we embrace change. While others manage from the boardroom; we’re invited to pull up a chair. Everstream is growing and expanding, and poised to continue doing so. When you’re part of our team, you’re part of that adventure. Are you ready to jump in? At Everstream, we value transparency, culture and work/life balance. If you share these ideals, we invite you to consider joining the team. Everstream’s footprint includes more than 10,000 route miles of fiber throughout the Midwest, with corporate headquarters located in the heart of downtown Cleveland. We understand telecom folks love their maps. If you’re one of them, be sure to visit our comprehensive network map. Like what you see? Search our open positions now to find a fit that’s right for you.